I have to say I am incredibly lucky to be doing what I love. I have been in the spa and beauty business for over 25 years now and love it more every year. I find so much inspiration from the amazing women I meet along the way. Today I run a mobile spa business where professional estheticians and therapists bring the luxury day spa experience right to your doorstep. All very aware of the demands and restrictions of today’s busy world and aging population, we get to see first-hand how the happiness of those around you is infectious and breads a more positive attitude on life. Perhaps it’s the intimacy and comfort of the home setting that we work in that delivers a heightened sense of relaxation and well-being to our customers. 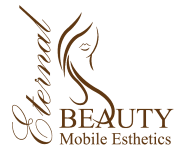 We provide both individual appointments as well as specializing in Mobile Spa Parties. A growing trend for us is the recurring group booking. Women are committing to get together on a regular basis “just because”. No need to wait for a special occasion to allow yourself the treat of getting pampered. Once in a while we simply need to take the time to connect with friends, stop and live in the moment, and whenever possible, celebrate that moment. Although what happens at a Spa Party stays at the Spa Party, I can tell you that amidst the laughter and fun there is also support, confidence boosting and a sounding board to buffer the hardships of life’s transitions. This celebration of friendship with your gal pals can be super simple or you can kick it up a notch. Either way, this kind of gathering can be a smashing success with some simple planning and tips from our expert team. With everyone’s busy schedules it’s important to plan ahead and get commitment from your friends. Otherwise, life gets in the way of living and before you know it months have passed and we lose connection with one another – and ourselves. Book your friendship celebrations several weeks in advance or better yet, schedule them on a regular basis and decide on alternating hosts. If you adding spa treatments like pedicures or manicures, you will also need to book this well in advance to ensure availability. No fuss. Keep things comfortable and simple. You can decorate the room with candles, plush pillows, and magazines. Stay comfortable in your clothing for those spa treatments. For example, loose clothing or pants with some stretch works best if you are having pedicures. We even have groups that come in their pyjamas or robes and slippers if it’s an evening event. Listen to soft spa music or a playlist of your favourite tunes… whatever suits your mood and the theme. Keep the appetizers light or serve starters like a cheese and crackers, fruits, and veggies & dip which are substantial but not too filling. Hosting a potluck will take a lot of stress off you. Follow the three cardinal rules of a potluck when organizing it: The food should be easy to make, able to be made ahead of time, and easily transported. Consider asking guests to bring their favorite dish – or assign a specific dish for each guest to bring. Also remember to check for dietary restrictions of your friends, and ask those folks to bring a dish that fits in with their diet. Make sure to ask your guests to bring their food in a dish that’s buffet-ready or bring a platter or serving dish of their own. Keep it simple by deciding on a signature cocktail that can be easily prepared when it’s time to make a new batch. It’s good to have a couple of bottles of wine ready to serve, or ask guests to bring their beverage of choice. Champagne cranberry punch is another crowd-pleaser. Don’t forget to have juice or soda on hand for the guests that prefer non-alcoholic beverages. Remember that this celebration is about being thankful. Sit back and enjoy the company!